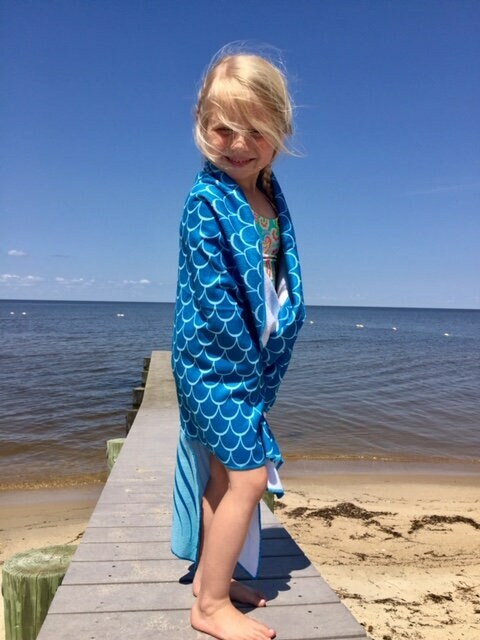 This teal beach towel with a cloth mermaid tail will delight young mermaid lovers. 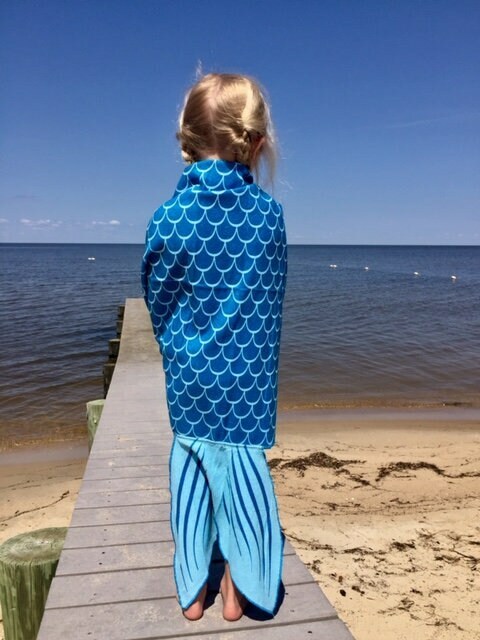 Whether she's at the beach or by the pool or hot tub, wrap this around her for instant mermaid fashion. 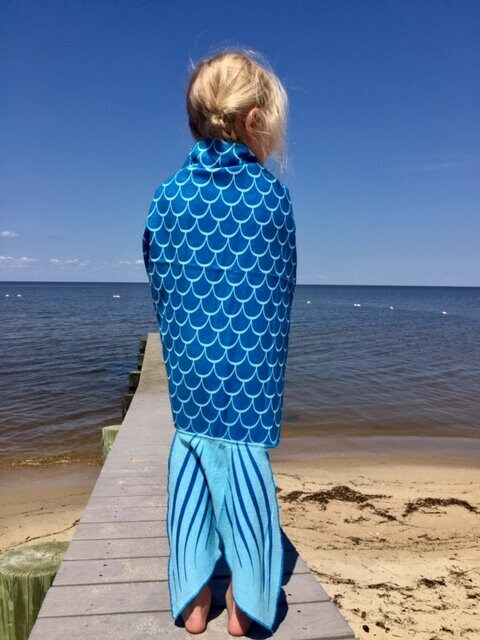 This listing is for one mermaid towel as shown. It's approximately 24" 48". Shop early for best selection of our boutique beach accessories-quantities are limited! We're adding many more fun bags, wraps and other beach accessories for her to our shop this weekend, so check back often. 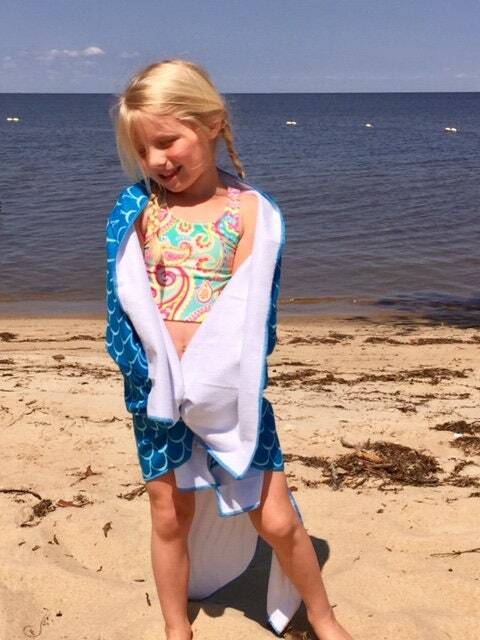 Your mermaid beach towel ships in about 3-5 business days. Priority shipping takes 2-3 business days, so you will receive about 7-10 business days after purchase. Thanks for stopping by, contact us with questions, and have a blessed day.